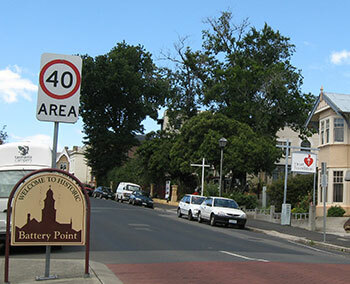 Battery Point is an elegant suburb with historic charm. 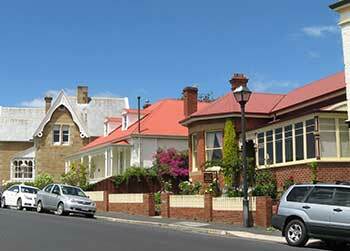 Elegant homes dating back to past centuries, water views, historic appeal - Battery Point was calling out to me that day. We came upon lovely Narryna House. 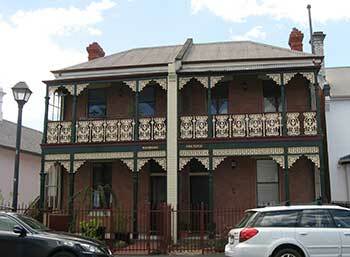 This Georgian style house was once the residence of a successful 19th century Hobart based merchant and his family. It is now a museum. 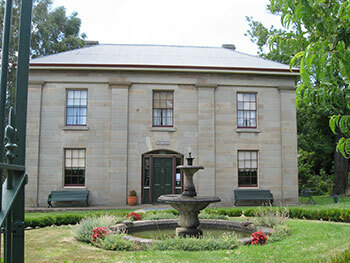 It showcases treasures from the past including household items donated by Tasmania's pioneer families. I loved the mix of old and new. And you can see this of course in many historic districts where older buildings have been preserved and newer houses built next to them. Then I had a pleasant surprise! 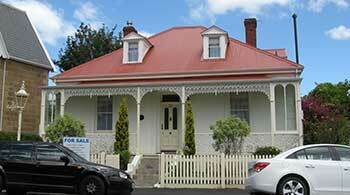 I came upon the very house I was admiring in the real estate agency ad! Why can't I buy this house I wondered... What would you want with an old coach house, my sensible husband inquired. Look at this beauty. I could make out the words Mafeking Pretoria on the front of the building. I wonder what inspired these words. I know that Pretoria is located in South Africa. Maybe it is a place which meant something to the builder? 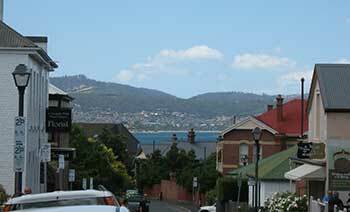 As we were walking along, I noticed the attractive mountain and water views. Beauty just about everywhere you look. No wonder Battery Point does well on the property market. Le Circus De Dragonfly is a delightful looking shop with The Village Cafe next to it. That day the cafe was offering Tasmanian scallop pie with salad for $8.50. Yummy! Too bad I didn't have time to stop. "Everything's beautiful in the Village". "beautiful breakfasts, beautiful food, beautiful coffee". Well I may be priced out of buying a property in Battery Point but I can at least stay in this gorgeous looking hotel - Lenna of Hobart... According to the hotel website, the Lenna was built in 1874. 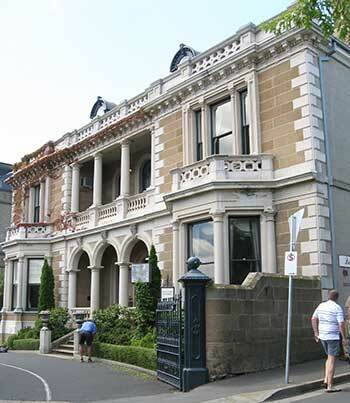 It is classified by the National Trust and also listed on the Tasmanian Heritage Register. The picture actually shows the restaurant and bar sections of the Lenna hotel buildings. 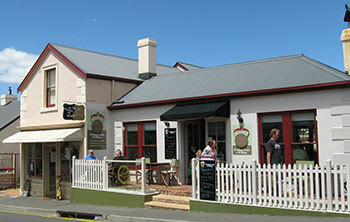 Alexander's Restaurant is named after the original owner of Lenna, Alexander McGregor. According to the hotel website, this restaurant offers Hobart's best dining experience. An impressive claim!